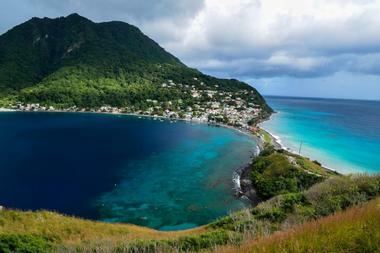 For the traveler looking for a pristine Caribbean island devoted to authentic ecotourism, Dominica is it. There are no resort chains represented on the island, and it’s not the place to come looking for a vibrant nightlife, but if a serene and beautiful natural island landscape is important, and the must-do list contains plenty of adventurous eco-friendly exploration, then this island in the Lesser Antilles archipelago welcomes you. A short, easy hike takes visitors to the Emerald Pool, a natural pool and waterfall draped in rainforest canopy, while a more rigorous guided hike rewards trekkers with pools at the bottom of jaw-dropping Trafalgar Falls; both are in Morne Trois Pitons National Park. 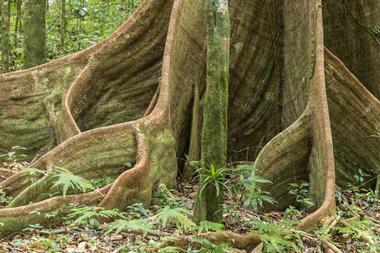 This is only the beginning of 20 remarkable things for eco-travelers to do in Dominica. The trek up Boiling Lake Trail in Morne Trois Pitons National Park to Boiling Lake is an arduous one, so only the adventurers willing to hike the muddy trails and challenge their physical and mental agility will want to make this trip, and even then only with a qualified guide. The 8-mile trail with its rugged terrain and steep inclines takes about 3 hours one way. The Valley of Desolation near the end of the trail provides a beautiful landscape. The lake itself is a bluish-grey bubbling boil caused by a fumarole, or steam vent, in the Earth’s crust. Rising water vapors give the lake an ethereal ambiance. Bois Cotlette Estate is a fully sustainable French colonial maison and organic farming estate offering Heritage and Chocolate Tours to visitors. For over 290 years, the fertile volcanic soil of Bois Cotlette has produced cocoa, coffee, and sugar cane, and it is Dominica’s oldest estate. 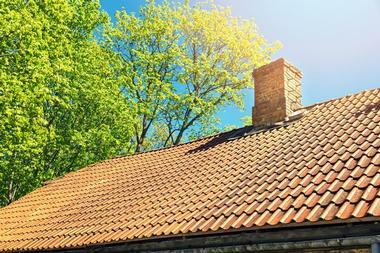 The maison has been completely restored, and the estate’s 53 acres are a model of self-sufficiency. All food, water, and power is produced sustainably. Heritage tours of the grounds include Dominica’s only windmill, an herb garden with medicinal and cooking herbs, and current archaeological excavations. Chocolate tours take visitors through cocoa processing from pod to candy. Both tours are 2 hours in duration and include tastings. 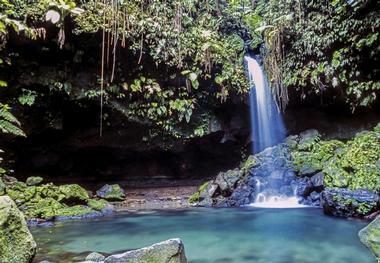 Cabrits National Park encompasses the entire peninsula north of Portsmouth, including Dominica’s largest swamp and peninsula coastal areas and coral reefs. The park’s highlight is the site of 18th-century Fort Shirley, where 600 British troops were once housed. Today, the old officer’s quarters have been renovated and repurposed as an event center. Weddings, concerts, the annual Dominica Jazz ‘n’ Creole Festival, and other events are held here. Visitors can roam the surrounding jungle exploring other parts of the fort’s ruins on short, easy hikes and enjoy dazzling views of Prince Rupert Bay from the event center. Scuba Diving Magazine and Caribbean Travel & Life Magazine have awarded Dominica numerous top snorkeling and diving honors over the years. At Champagne Reef, the island’s premier diving and snorkeling site, snorkelers will be amazed by the thousands of warm bubbles emitted from geothermal springs that vent gases through the water, giving a sensation of swimming through champagne. Reef life that snorkelers and divers can expect includes hawksbill turtles, lobsters, sponges, parrot fish, and a myriad more. Divers can choose from one and two-tank certified dives led by PADI Dive Masters or one of the popular night dives. 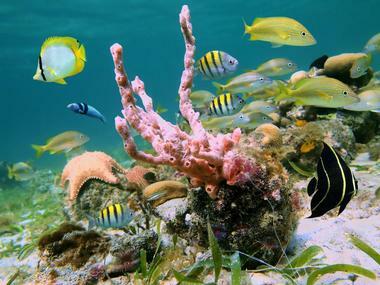 Diving responsibly and protecting the marine environment is a top priority at Champagne Reef. At 40 acres, Roseau Botanical Gardens, or “the Gardens” as they’re referred to locally, comprise the biggest swath of green space in Roseau. The gardens are home to 50 kinds of indigenous plants, a number of imported trees, and the island’s national bird, the sisserou parrot. Visitors can expect to see two sections, the meticulously landscaped ornamental section and the more practical section dedicated to the propagation of economically important plants. 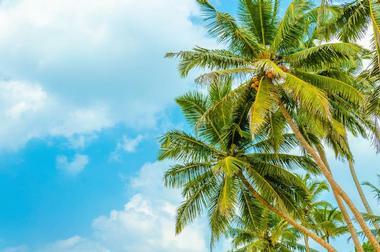 Despite having been repeatedly battered by tropical storms and hurricanes, they remain an idyllic setting for local celebrations and parades and offer recreational opportunities for citizens and visitors. The UNESCO World Heritage Site of Morne Trois Piton National Park is home to the enchanting Emerald Pool. The waterfall grotto can be found along the road to Castle Bruce, and is an easy 30-minute hike through the rainforest. The bottom of the pool is very rocky and strewn with boulders, so water shoes and careful walking are suggested. Guests can swim or walk out to the waterfall and stand under it. There is a cave and walkway behind the waterfall for those who prefer not to get in the pool. 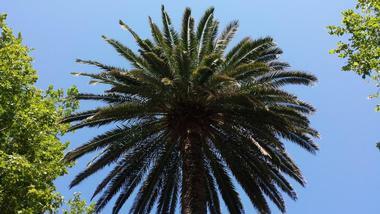 This is also an excellent place to spot (and listen to) Jacquot parrots. 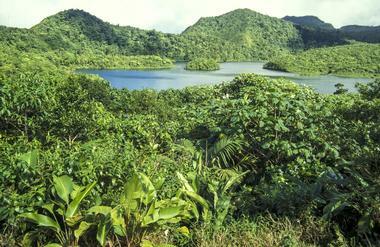 Freshwater Lake is a half-day hike into Morne Trois Pitons National Park from the village of Laudat. It can also be reached by car or taxi and is near a parking area. Visitors can walk a scenic trail that encircles the lake in about 30 minutes. 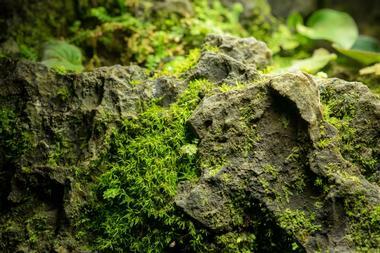 Ferns, mountain palms, and a variety of tropical flora like heliconias, orchids, and bromeliads offer vibrant color to the lush vegetation, making the walk a pleasant one. Situated in a valley, it receives lots of rain, and visitors should expect a misty cloudforest with occasional sunny days. Kayaks can be rented at a nearby visitor center for those not afraid of the mythical lake monster. The communally owned territory of Kalinago has eight small villages scattered across its 3,700 acres, from the northern village of Bataca to its southern counterpart of Sineku. Other hamlets include Salybia, Concord, Mahaut River, Gaulette River, Crayfish River, and St. Cyr. There are a number of roadside stands throughout the territory selling indigenous handcrafted gifts, including traditional larouma basket products. Kalinago Barana Autê is an interpretive center where visitors can learn basket weaving, cassava processing, herb collection, and calabash carving; there are also traditional cultural song and dance performances. Traditional boat building is on display in Salybia with master boat builder, Emmanuel “Napoleon” Sanford. 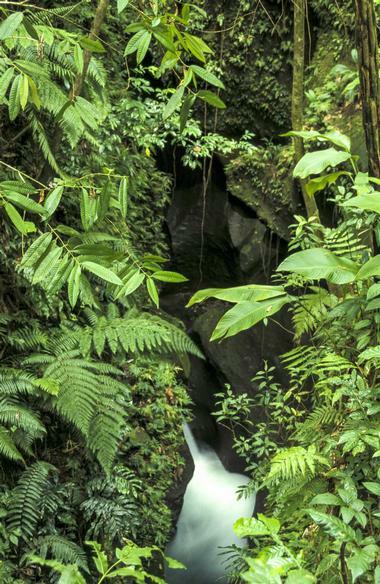 Adventurous travelers will find Dominica’s most popular hiking trail, the Syndicate Nature Trail, in the northern mountain ranges of Morne Diablotin National Park. 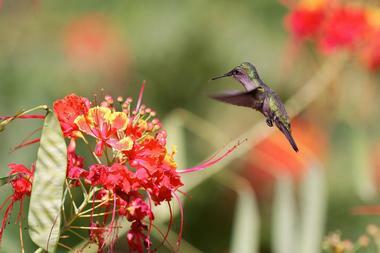 The park was created specifically to protect the habitat of the island’s two endemic parrots, including the sisserou, Dominica’s national bird. Although the park was named after the black-capped petrel, otherwise known as the diablotin (because of its devilish sounding call), it is unlikely visitors will encounter one. Rare sightings may occur on mountain cliff faces. 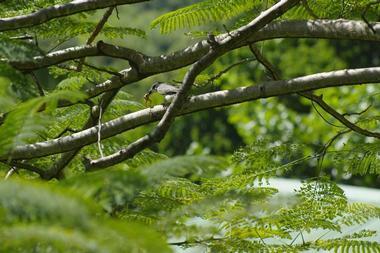 Morne Diablotin is a natural bird watching destination due to the variety of bird species – 18 in total. There is also a strenuous trail leading to the summit of Morne Diablotin, only for the hardiest of adventurers. 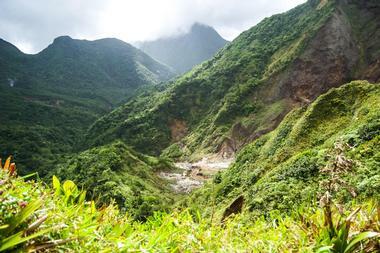 Morne Trois Pitons National Park is Dominica’s only UNESCO World Heritage Site. 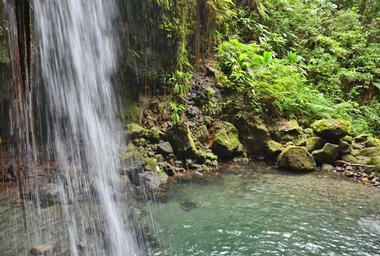 Many of the most popular things to do on Dominica are in this park. Most hikes begin at Laudat, 20 minutes north of Roseau. It is recommended that long hikes be taken with an experienced guide, especially hikes to the Morne Trois Piton mountain peaks of Morne Micotrin and Morne Watt. Freshwater and Boeri Lakes, Boiling Lake, Emerald Pool, and Dominca’s most spectacular waterfall, Middleham Falls, are all highlights within the park. Other alluring sites near the park are Trafalgar Falls, Titou Gorge, Sulphur Springs, Sari-Sari Falls, Victoria Falls, and the Rainforest Arial Tramway. For the fit and ambitious traveler, the trail to the summit of Morne Watt leads to a worthy island view. Summit hikes begin in the village of Wotton Waven. Because it is rarely used, it is sometimes difficult to discern and should be attempted only with a skilled and knowledgeable guide. The strenuous hike to the island’s third highest peak takes 3 to 4 hours one way. The Creole restaurant, Café Mon Plezi, and the French restaurant, La Petite Paradise offer hikers a welcome meal before or after a long hike. Hikers may also appreciate the Valley of Desolation, which is within a quarter mile away and offers a mesmerizing landscape. 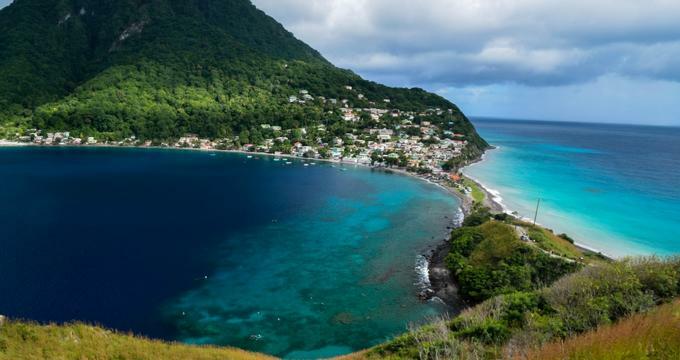 Pointe Baptiste, on the northeastern coast of Dominica, has a couple of natural attractions visitors won’t want to miss. The Red Rocks portion of Pointe Baptiste feature stunning red rock cliffs that have been shaped and smoothed by the ocean, creating a picturesque seascape. 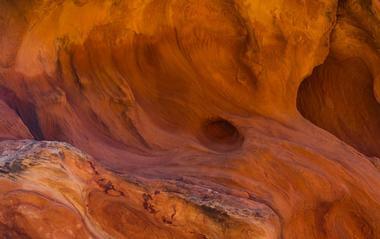 Visitors can explore a nearby cave, short trails to numerous red rock formations, and a black sand beach. It’s the perfect spot for watching the sun set behind the mountains. The white sand beach of Pointe Baptiste Bay is great for sunbathing, swimming, and picnicking. Visitors may also want to stop by the Pointe Baptiste Estate for some specialty chocolate made from organically grown cocoa beans and with flavors like ginger, hot pepper, tangerine, and spice. The hike to Sari-Sari Waterfall is not as rigorous as it is unnerving. After an easy hike to the water, trekkers must make at least half of the hike through the river itself, negotiating boulders and rocks, cascades and pools. Because it is a precarious and unpredictable hike, following the benevolent cairns constructed by previous hikers to show the way, it is probably wise to hire a guide. Hiking during or after heavy rain increases the unpredictability of the river due to frequent and dangerous flash flooding, which has caused deaths in the past. The waterfall is gorgeous and well worth the effort, but trekkers shouldn’t expect to see a pool at the bottom of the waterfall; there isn’t one. 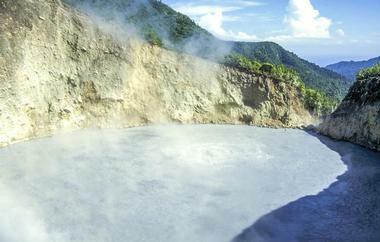 Those dedicated to eco-tourism will appreciate Soufriere Sulphur Springs, a significant geologic area east of Soufriere Village. During pre-Columbian times, Sulphur Springs served as an important meeting place for the Kalinagos people from the Caribbean islands. Today, it is one of Dominica’s well-known recreational areas, where visitors can relax and rejuvenate in naturally heated mineral pools. The crystalline Glo Gayak stream is thought of as healing water, and local residents often drink small amounts of the fresh water as a cleanse. The turbid waters of the Glo Cho stream form the basis for the warm mineral baths, also with healing properties. Waters from the Glo Cho are diverted into four man-made pools. Water temperatures vary throughout the year, with temperatures being higher in rainy season, and lower in dry season. Visitors will find a few helpful amenities here, including changing rooms, picnic facilities, hiking trails, and a visitor information center. The Dominica Museum is situated in the old colonial part of Roseau in front of the Old Market, where slaves were once traded. It is the national museum of Dominica. On the street level of the two story orange building with a red tiled roof is the Tourist Information Center; the museum is on the second floor overlooking the city. The small but significant museum is under the direction of notable Dominica historian, Lennox Honychurch. Visitors will find photos, portraits, furniture, bird and fish specimens, and indigenous artifacts. There are volcanology displays, old musical instruments, and other displayed items of significance to the island’s culture, history, geology, and archaeology. The Old Mill Cultural Center, established in 1985, doubles as a center for artistic learning and a tourist attraction presenting Dominica’s cultural, architectural, and environmental heritage. It accomplishes this with a folk research center, museum, sculpture workshop, and dance studio. 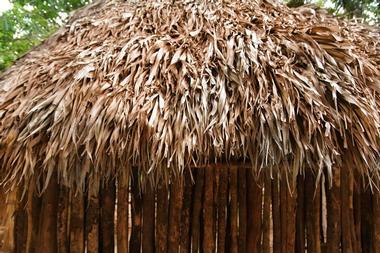 A gallery displays the artistic works of local artists, posters of sugar cane and coffee processing, artifacts and information about Dominica’s Kalinago people, and traditional dress and Sensay costumes. The community center offers a space for performance artists and community gatherings celebrating Dominica’s cultural heritage. 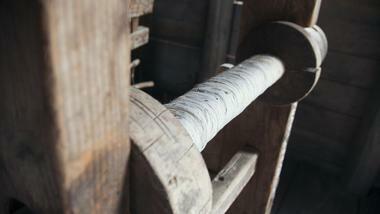 Even the building itself, a repurposed sugarcane mill, adds to the Old Mill Cultural Center’s historical significance. The Rock at Pagua plays a significant role in indigenous Kalinago folklore. It’s said that the 60-foot rock houses a powerful spirit that, if seen by someone through a crack in the rock, will cause them to have a relative soon die. Another story surrounding the rock involves a white flower that is said to bloom only one day each year, and that rubbing the flower on the base of one’s palm and pointing the palm at a person will put said person under their control. There actually is a white flower that blooms near the rock on occasion, and if used in a tea, it produces psychedelic effects. If Titou Gorge seems like a scene out of Pirates of the Caribbean, it’s because it is. In the second movie, Captain Jack and crew are escaping a tribe and fall into the gorge. 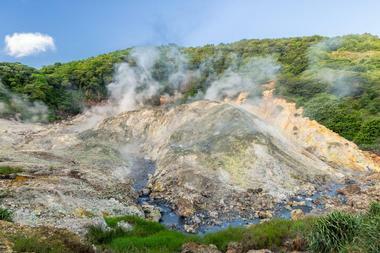 Titou, which means “little throat,” was formed from volcanic lava that split open when it cooled, making a natural cave. Visitors can go inside the cave and swim through a series of rooms in the sparkling yet cold cave waters under the dappled light of a rainforest canopy. When it gets too cold, they can warm themselves in a natural hot spring just outside the entrance. 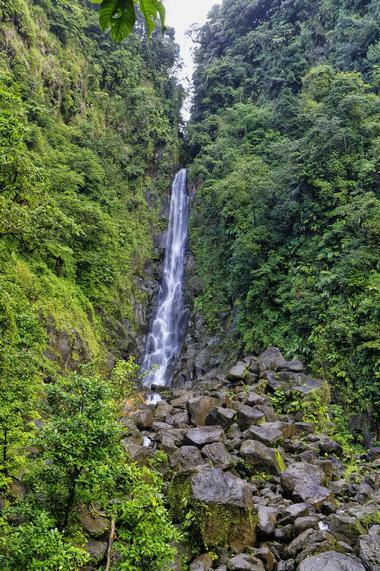 Situated 20 minutes outside Roseau, Trafalgar Falls are Dominica’s famous twin falls – Father Fall at 85 meters is on the left and Mother Fall at 40 meters is on the right. There is a visitor center with a nature display room featuring local flora and birds, bathrooms, changing rooms, souvenirs, and a snack bar. A short walk from the center takes visitors to a viewing platform to snap some photos. Adventurous types can continue with a guide through the rainforest to Mother Fall, where they can scramble slippery, wet boulders to enjoy the pool. Though more challenging, guides can also take visitors to Father Fall. Waitukubuli National Trail crisscrosses Dominica end to end on the first long distance trail of its kind in the Caribbean. Visitors hiking the trail will experience all aspects of Dominica’s heritage and culture as well as the island’s rugged interior. The trail is divided into 14 segments, so it’s easy to begin and end at any point in between or walk the entire trail. Must-do experiences along the way include organic farms, sulfur spas, waterfalls, homestays, Kalinago indigenous culture, and aquatic sports like kayaking and diving. Amazing Race fans will find their own racing adventure at Dominica’s weeklong Nature Island Challenge, where teams of four compete in a race across the island.